This lesson will teach you how to create a Course Group. 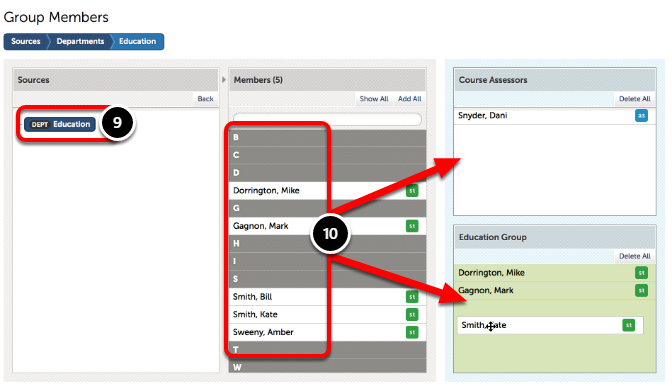 Course Groups allow assessors to track their students' assessment results. Course Groups only display the submissions made to the specific course group assessor. Course Groups are also a necessary component in creating and sending Assignments. If you wish to use the Assignment tool, you must first create a Course Group containing the students to whom you will send the assignment. 4. 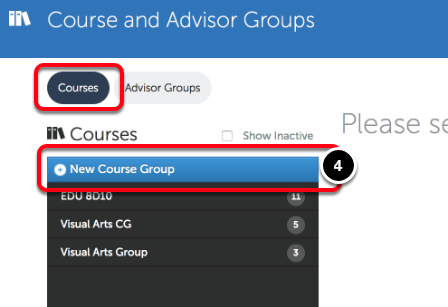 Click on the New Course Group button. 5. Enter a Name for the Course Group. 6. 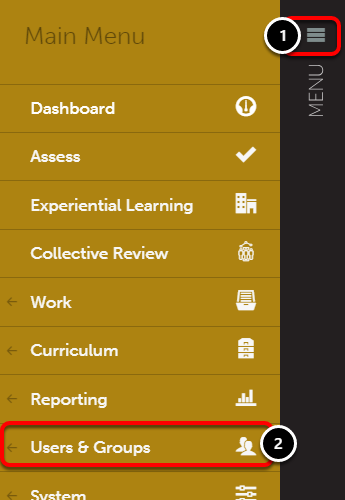 Click on the Choose Group button to choose the Parent Group that the Course Group will reside in. 7. View the Course Group Owner - this is not editable and will be the user whom is creating the group. 8. Optionally make your Course Group Inactive. If you choose for the Group to be inactive, you will not be able to use it to create or send assignments. 9. 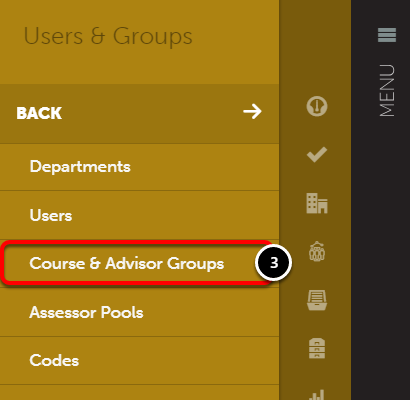 In the Sources column, locate the department that contains the users you would like to add to the Course Group. 10. Drag-and-drop the users into the appropriate boxes on the right.